This piece of work may look sophisticated, but it is actually very easy to do. - a piece of black card stock or black construction paper mounted on cardboard. 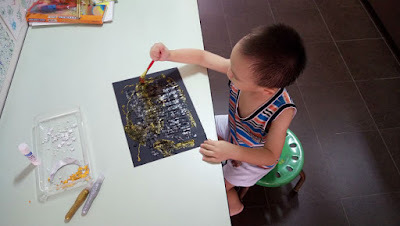 I dribbled some silver glitter glue onto the black paper and asked David to spread it out using the paint brush. He enjoyed doing it as he had never 'painted' using glitter glue before. The glittery effect was certainly enticing to him! 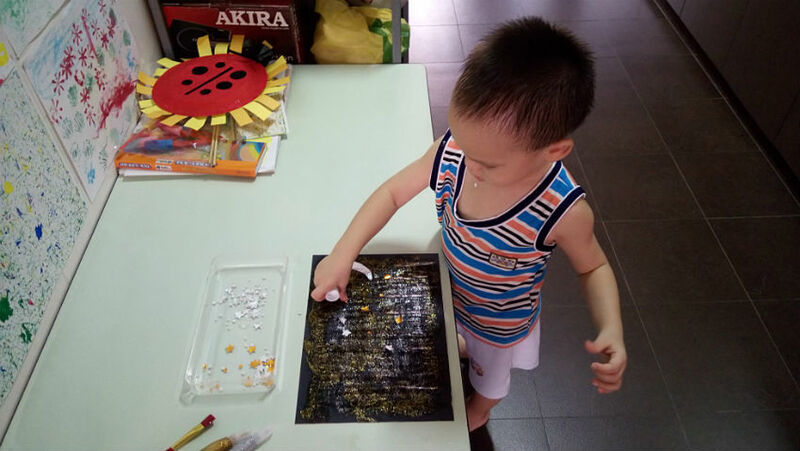 After that I dribbled gold glitter glue and asked him to spread that out too. It did not matter if the colours came together. He had complete freedom to spread the glue as much as he wanted. 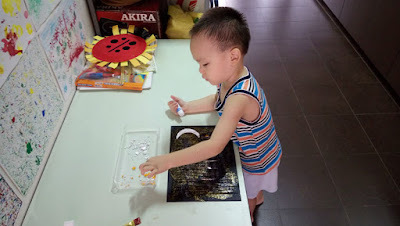 After the paper was 'painted' with glitter glue, I asked him to paste the crescent and the stars onto the paper. Although the paper was sticky with glitter glue, I knew the crescent and stars would come off easily when the glue became dry. 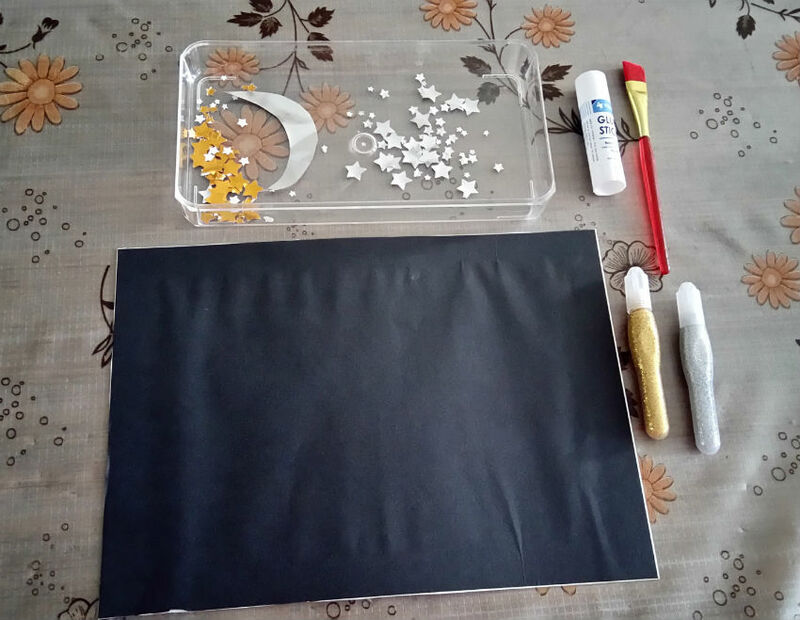 That was why I asked David to use the glue stick to apply glue to the crescent and stars before pasting. 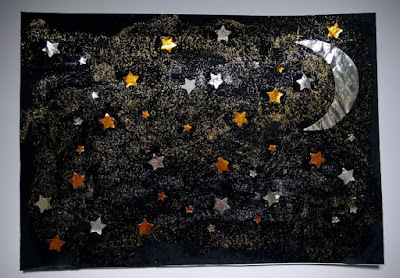 When the crescent and stars were all up and the glue had dried sufficiently, the 'night sky' looked like a masterpiece! 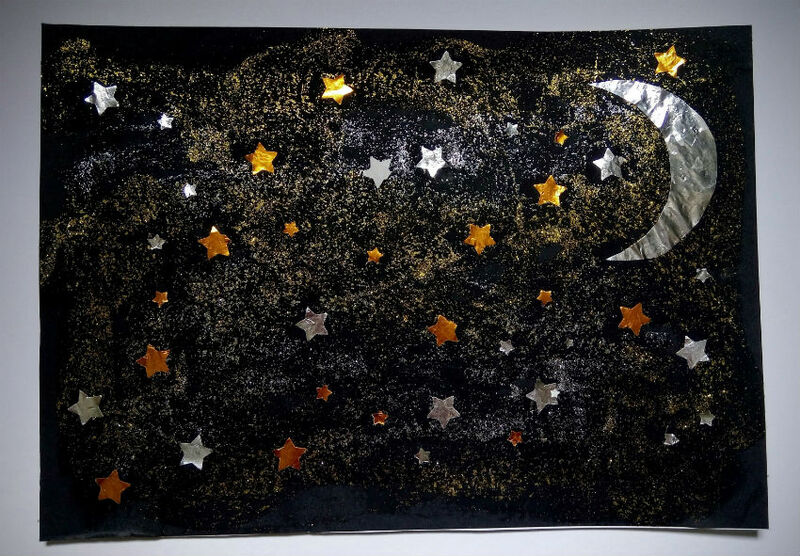 Vincent van Gogh, I love your painting "The Starry Night", but David's "Night Sky" will always be more beautiful in my eyes!